Mondato sat down with the Smart Campaign at the Center for Financial Inclusion at Accion to discuss the Guidelines for Responsible Investing in Digital Financial Services and Best Practices for DFS Innovation. Q: The responsible Digital Financial Service Guidelines for Investors was launched recently in Amsterdam. 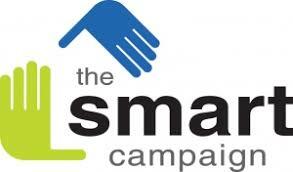 What do these guidelines mean to you at the Smart Campaign? A: As a standard setter on financial consumer protection, these guidelines represent an exciting shift in the industry conversation around responsible digital finance. Much of sectoral discussion in the last few years has articulated the client protection risks of digital financial services—such as the work coming out of CGAP, MicroSave, the Digital Credit Observatory, Bankable Frontier Associates, the Smart Campaign has also done work on this—and this is a very important initial step. But we feel the time is ripe to go from risks to solutions and standards for how to make responsible digital financial services implementable. These guidelines show a strong appetite and demand from investors for implementing responsible digital financial services. As a standard-setting body for responsible financial inclusion, that is a very exciting moment. Q: What do you think the next steps should be for the guidelines? A: Implementation! The guidelines are a great jumping off point but we need to get even more into the weeds on implementing these guidelines both for providers and investors. And through that process there needs to be consensus-building, gathering of feedback, accumulation of examples of providers and investors putting the guidelines into practice, and recognition for those that do. The Smart Campaign has already been working on this with a group of providers, called FintechProtects. Q: Can you share more about FintechProtects? A: We have a community of practice called FintechProtects. It is a place where digital financial service providers can learn, share, debate and help shape the best practice in implanting responsible digital finance. There are a mix of digital credit providers, pay-as-you-go models, and tech-enabled microfinance institutions, just under 20 organizations. We have found that in client protection standard-setting, having providers be integral to that process is key to buy-in, success, and creating standards that are aspirational but also feasible. And by working closely with providers in FintechProtects to test and learn, there is the opportunity to make the business case around improvements in client protection practices.